In the early stages of building a small business, there is a huge sense of excitement and nervousness around what the new venture will bring. After all, who wouldn't want to be their own boss? With this excitement comes the responsibility to create sturdy foundations for your business to grow upon, to ensure the longevity, and future success of the venture. The best way to develop any new concept is to flesh out the idea in the context of a business plan. A business plan is not only critical in growing a business, it's also an important tool used to access capital from lenders. As finance brokers, stratton use business plans to help build your business' narrative alongside supporting financial proof points that convince lenders to lend to your new business. We also use the plan as leverage to negotiate a better deal from lenders. The actual existence of a plan is often a very strong signal to a lender that there is a high-degree of accountability to deliver on goals, and the existence of a road map for the business' future. Managing a new business is no easy feat, and business owners need to be on the front foot to ensure their success. Estimates currently state that one-in-three new small businesses in Australia fail in their first year of operation. 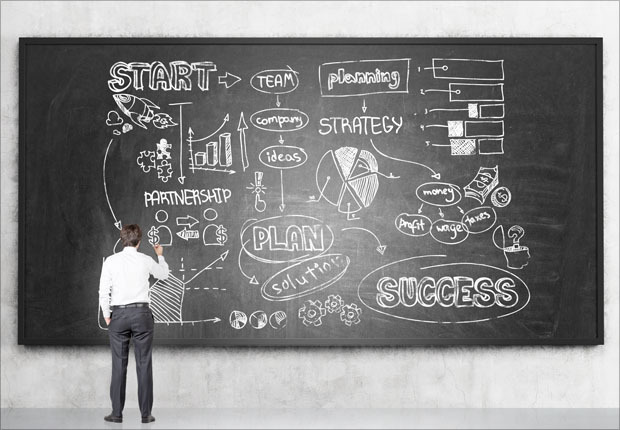 It is estimated that only 3-5% of new Australian small businesses prepare a business plan. When you then consider that the number one problem many of these businesses face is access to working capital at the start up stage, and knowing that lenders need to see a working business plan before providing such capital – it raises many questions as to why more businesses don't create a plan in the first place. However, it's not all doom and gloom for those of you who dream of running your own small business. stratton's Commercial team are here to help! We've built our Commercial team around experts that don't just understand finance, but who have also run their own businesses, and have a great knowledge and experience in business planning. Because of the risk associated with many new businesses, lenders don't always share the same passion for start-ups that stratton do. By looking at the big picture, and working with small business owners to create business plans and cash flow projections, our Commercial team has the expertise to get businesses the finance they need to keep going. We consider risk, tax implications, residual values and more to find the right lender and finance package that fits your business. There is also a fantastic Australian-built software tool which has been used by more than 60,000 small/medium business owners and business leaders worldwide when organising their business plan. It's time to turn the tide on the fate of small businesses and invest in smarter business building to ensure continued growth, longevity and success. To get your new business in the best position for success, and the finance to help you grow, speak to the stratton Commercial team on 1300 738 290 or submit an online enquiry.